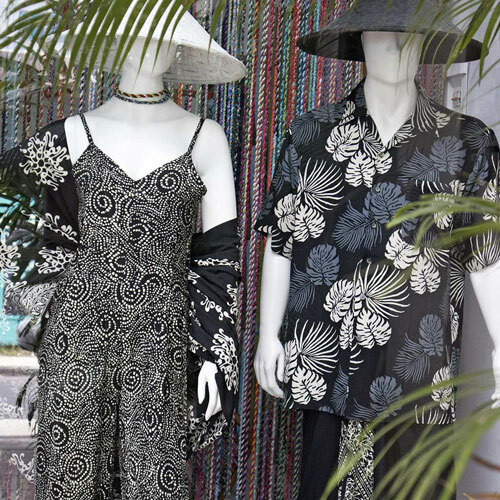 Senada Batik Bali store and showroom has been open for business on Jalan Arjuna (Double Six Street), in the heart of Seminyak, on the beautiful island of Bali, Indonesia, since 1990. You can visit our contact page to view a map showing our store location and our opening hours. We welcome your visit. We sell a wide range of authentic batik fabric products. Our batik fabrics are handmade by our skilled batik making artisans, using traditional Indonesian batik producing techniques. Our batik fabric products include, batik sarongs, batik clothing, batik scarves, batik sandals, batik accessories, batik homewares, and other interesting and unique handmade batik fabric products. Check out our shop page if you are interested in purchasing any of our currently available handmade batik fabric products. For wholesale order enquires, view our wholesale information page, or contact us via our contact page. At Senada Batik Bali, we welcome your visit to our store and showroom to view our wonderful batik creations. We are confident you will love our beautiful handmade batik fabric products, and appreciate the creative skill involved in making each batik fabric work of art. Search for us on Google Maps, or visit our contact page to view a map of our location.